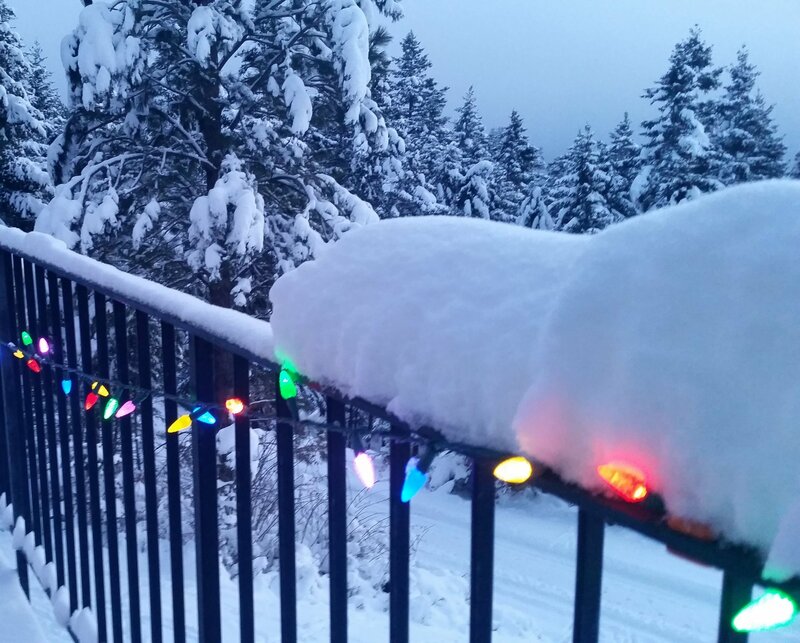 Two strands of lights on the deck rail. For me this is what going all out for Christmas looks like. I think I might be raising the bar too high for the neighbors though. Actually we have no snow. This is last year’s photo. I guess that you could say that I am using “fake snow” to fit the seasonal narrative that I am trying to peddle.